Maize prices ended lower by 1.63 per cent on Thursday at the National Commodity & Derivatives Exchange Limited (NCDEX) as a result of heavy selling activity by the traders on account of higher global supplies and weak offtakes from the local buyers. At the NCDEX, maize futures for March 2016 contract closed at Rs. 1,391 per quintal, down by 1.63 per cent, after opening at Rs. 1,417 against the previous closing price of Rs. 1,414. It touched the intra-day low of Rs. 1,379. MarketMagnify Is a leading Commodity Advisory CompanyIn India.We are Providing AgriCommodity Tips,Agri Commodity Market tips,ncdex tips,ncdex live market on mobile with 90-95% accuracy level. Jeera prices closed higher by 0.84 per cent on Thursday at the National Commodity & Derivatives Exchange Limited (NCDEX) as the investors increased their holdings in the commodity in the midst limited arrivals from growing regions. At the NCDEX, jeera futures for March 2016 contract closed at Rs. 15,080 per quintal, up by 0.84 per cent, after opening at Rs. 14,885 against the previous closing price of Rs. 14,955. It touched the intra-day high of Rs. 15,215. Sentiment improved further as a result of reduced domestic supplies in the physical markets and some export enquiries. Global output of Jeera is around 2.2 lakh MT per year, of which India produces about 1.5 lakh MT per year. Oil prices rebounded in Asia today but doubts over a planned meeting between producer giants including Russia and Saudi Arabia this month to discuss an output freeze held back gains. Questions over the proposed March 20 meeting emerged after Iran declined to agree to any output cap as it ramps up production following the lifting of nuclear-linked sanctions in January. And even if a meeting does takes place, analysts are not optimistic an agreement would be reached. The idea of freezing output surfaced in discussions led by OPEC kingpin Saudi Arabia and Russia in February after an increase in global production January added to a supply glut that has sent prices plunging by 70 from mid-2014 peaks. Gold on MCX settled down -0.71% at 29598 dropped sharply as weaker Euro and the stronger Dollar are weighing on gold prices. Worries about the expected monetary policy easing from the ECB and the possibility that the Fed may raise interest rates perhaps as early as June are encouraging investors to take profits. Gold trading range for the day is 29122-29956.Gold fell as oil prices and world stock markets rose, and expectations for further monetary easing from ECB prompted some investors to take profits.Headwinds in the global economy are likely to deter U.S. policymakers from raising interest rates soon after hiking them in December. Silver on MCX settled down -0.55% at 37223 slipped as Comex Silver dropped to closed at $15.26 an ounce dropped in the steady session as dollar advanced on expectations of more stimulus from the ECB to bolster economies in the euro zone. Silver trading range for the day is 36671-37649.Silver dropped amid rallies in global equity markets, dampening the demand ahead of a critical meeting by the European Central Bank's Governing Council.In the U.S., wholesale inventories rose by 0.3% in January, increasing by the highest level since last June and halting a three-month streak of negative moves. Natural Gas futures surged by nearly 4 per cent in the domestic market on Wednesday tracking a bullish trend internationally as the sharp retreat in the energy commodity in recent sessions paved way for bargain buying in the fuel by investors and speculators, at existing levels. The focus is now on the EIA’s weekly storage data on Thursday which may show a withdrawal of 51 billion cubic feet in US gas supplies, up from a 48 billion cubic feet storage drop in the prior week, and a decline of 43 billion cubic feet in the same week last year and a five-year average dip of around 71 billion. 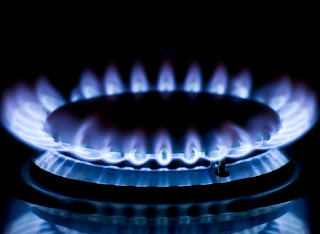 At the MCX, Natural Gas futures for March 2016 contract closed at Rs 119.7 per mmBtu, up by 3.82 per cent, after opening at Rs 116.6, against the previous closing price of Rs 115.3. It touched an intra-day high of Rs 120.4. Oil rallied as dealers digested the latest snapshot of commercial crude reserves in top global consuming nation the United States. 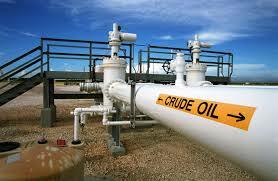 Around 1715 GMT, US benchmark West Texas Intermediate (WTI) for delivery in April jumped USD 1.49 to USD 37.99 a barrel. 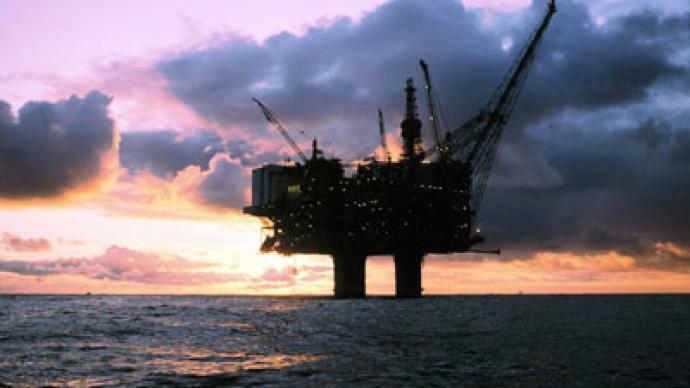 Brent North Sea crude for May delivery won USD 1.26 to USD 40.91 a barrel compared with yesterday's close. The market had already risen in earlier deals despite festering concerns over the global economy, in particular weak Chinese growth. The US government's Department of Energy (DoE) reported today that commercial crude stockpiles gained almost 3.9 million barrels in the week ending March 4. That beat market expectations for a build of 3.5 million barrels, according to analysts polled by Bloomberg News. However, it was far less than the 10.4-million-barrel jump posted the previous week. MCX settled up by 0.29% at 490.3 supported by pickup in demand at the spot market. Further, firming trend in the overseas market too fuelled the uptrend. Malaysia should scrap export duty rates for processed palm oil products to help its refining sector, which is losing market share to the world's biggest palm producer Indonesia, a Malaysian industry body said. 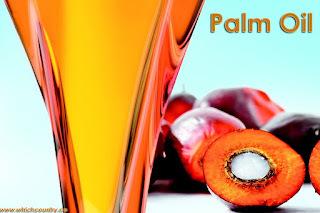 Malaysian shipments of palm oil products have fallen for five consecutive months since October, according to data from cargo surveyors. CPO trading range for the day is 483.8-494.8. Crude palm oil prices gained supported by pickup in demand at the spot market. Shipments from Malaysia for the vegetable oil fell 17-18 percent during Feb compared with the corresponding period a month ago. Maize prices ended lower by 3.09 per cent on Tuesday at the National Commodity & Derivatives Exchange Limited (NCDEX) as a result of heavy selling activity by the traders on account of higher global supplies and weak offtakes from the local buyers. At the NCDEX, maize futures for March 2016 contract closed at Rs. 1,380 per quintal, down by 3.09 per cent, after opening at Rs. 1,423 against the previous closing price of Rs. 1,424. It touched the intra-day low of Rs. 1,368. Sentiment weakened further as a result of a decline in the demand for the commodity from bio-fuel making industries tracking the weak global markets. Gold futures advanced in the domestic market on Tuesday as a renewed decline in global equities and falling oil prices amid fresh fears over the health of the world economy spurred a demand for safe haven assets. Equities from Asia to Europe and the US slid as Japan’s economy contracted by 1.1 per cent annualized pace in the fourth quarter of last year while China’s exports tumbled the most since May 2009 in February 2016, causing a flight to the safety of the yellow metal. 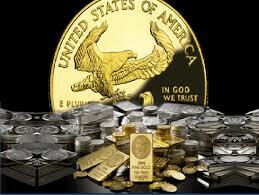 Gold may extend gains today as falling stocks bolster the lure for the precious metal as an alternative asset. At the MCX, Gold futures for April 2016 contract closed at Rs 29,809 per 10 gram, up by 0.73 per cent after opening at Rs 29,650, against the previous closing price of Rs 29,592. It touched the intra-day high of Rs 30,161. 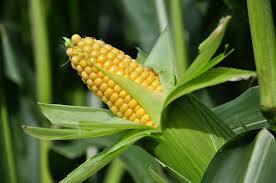 Maize prices closed higher by 1.19 per cent on Friday at the National Commodity & Derivatives Exchange Limited (NCDEX) as a result of a rise in the demand from exporters and poultry industries. At the NCDEX, maize futures for April 2016 contract closed at Rs. 1,276 per quintal, up by 1.19 per cent, after opening at Rs. 1,257 against the previous closing price of Rs. 1,261. It touched the intra-day high of Rs. 1,288. Commodity markets were closed on March 7, 2016 on account of Mahashivratri. MCX settled down -0.58% at 29592 on profit booking doused by robust U.S. employment data that underpinned expectations that the Federal Reserve could raise interest rates this year. 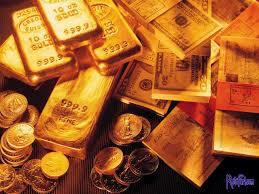 Gold trading range for the day is 29279-30121. Gold dropped on profit booking doused by robust U.S. employment data that underpinned expectations that Fed could raise interest rates this year. A pitched battle over the right path for U.S. interest rates is expected at next week's Fed policy-setting meeting. MCX settled down -0.62% at 37569 on profit booking but downside seen limited as investors scaled back expectations on how fast and how far the Federal Reserve might raise interest rates this year after U.S. employment data showed strong jobs growth combined with low wages. Silver trading range for the day is 36939-38495. Non-farm payrolls increased by 242,000 jobs last month, while the unemployment rate held at an eight-year low of 4.9 percent. Jeera prices closed higher by 1 per cent on Friday at the National Commodity & Derivatives Exchange Limited (NCDEX) as the investors increased their holdings in the commodity in the midst limited arrivals from growing regions. At the NCDEX, jeera futures for March 2016 contract closed at Rs. 14,130 per quintal, up by 1 per cent, after opening at Rs. 13,960 against the previous closing price of Rs. 13,990. It touched the intra-day high of Rs. 14,390. Sentiment improved further as a result of reduced domestic supplies in the physical markets and some export enquiries. Commodity markets were closed on March 7, 2016 on account of Mahashivratri. Oil prices jumped on Monday as optimism rose that major producers might reach a price support deal, helping US stocks to notch a fifth straight session of gains. Brent hit its highest level since December, climbing USD 2.12, or 5.5 percent, to settle at USD 40.84 a barrel, while US crude rose USD 1.98, or 5.5 percent, to settle at USD 37.90. Oil has rallied in recent weeks amid increasing hope that OPEC producers may be moving toward a production freeze to support prices in an oversupplied market. On Monday, the Ecuadorean government said Latin American oil producers agreed to meet on Friday in Quito to coordinate a strategy to support crude oil prices. In other commodities markets, spot iron ore prices jumped 19 percent, helped by expectations that Chinese steel mills were planning production cuts.